In addition to custom design and building bending equipment, we also offer Production & Prototyping Services in order to help you move your business into production. Using our extensive shop equipment, we are able to easily assist you on any projects and provide the convenience of serving as your one stop shop for the production of your products. If there is a part that cannot be made on our existing equipment, we will simply make a custom fixture that will allow us to bend your part. Typically, we use our own custom built tooling and fixtures to produce prototype parts; sometimes the tooling is made specific to a part and sometimes tooling used to produce previous prototype samples is reused. 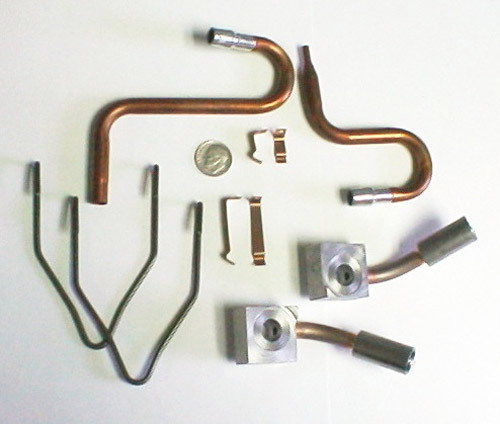 Mounted in one of Excel’s proprietary custom built, hand, pneumatic or hydraulic powered bending machines, the tooling specifically selected for your part, produces outstanding results. No matter the size of the project or the scale of the production required, Excel can help you get your products and prototypes samples to your clients in the shortest turnaround time possible!